Vacation rental lodge. Sleeps 27, 5 bedrooms, 5.5 bathrooms. No pets allowed. Brand new home in Tierra Linda! Nice lodge 5 bedrooms, 5.5 bath, sleeps 27 guests! This home will be a home away from home! Longhorn Lodge will have many outdoor activities for you and your family to enjoy! LARGE outdoor Kitchen, Horseshoes, Washer Pit, Tether Ball, Pool with Sundeck, Fire Pit and BRAND NEW BBQ Pit! Pool Measurement 15 X 30! Indoor Fireplace and 4 TVs! Beds will be made, just bring your towels. It was great a time and the house was gorgeous, we will be doing it again soon. All I recommend is to get a better bbq pit. Thank you for your review, per your recommendation the owners have purchased a new bbq pit for the rental! We love feedback! We had a good time house was very spacious .The only thing it needs is a volleyball court. Thank you for your review! We will let owners know of you suggestion for outside activities. Longhorn Lodge is one of our new rentals for this year and it is great! We hope you choose Frio Country Resort in your future stays on the Frio! We have been coming to the Frio for years, but it was our first time booking with Frio Country Resort. And now, we wouldn't book with anyone else, but Frio Country going forward. The house was perfect, the amenities were great, and the free parking by Kenneth Arthur Crossing was incredible. Thank you, Frio Country! I have a very large family and Longhorn Lodge had adequate space and amenities. We have been coming to the Frio for many years and to date Longhorn Lodge is by far the best home we have ever rented. The house was fabulous. We had a blast. The only problem I felt was the helicopter's were flying too low and like buzzing the houses. Plenty area around for them to not be flying in residential areas. It was a perfect home for 28 sleeps and it had all amenities needed for a peaceful vacation stay, the recreation activities like horse shoe and teacher balls were fun, everyone in our crew enjoyed. 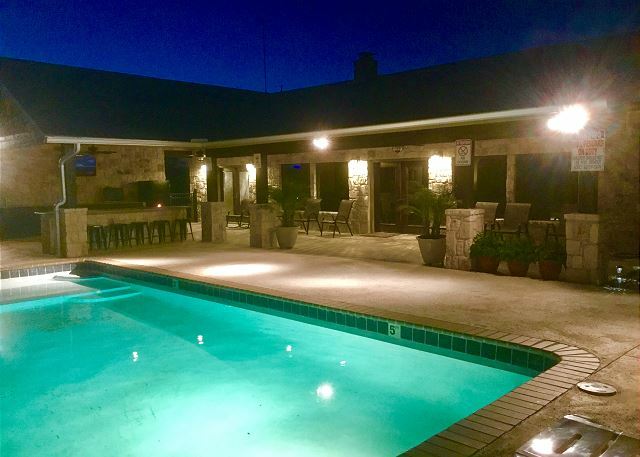 We are excited to hear that you enjoyed your stay at Longhorn Lodge! Thank you for choosing Frio Country Resort!